A graduate of Bloomington Central Catholic High School and the University of Notre Dame, Dr. John Wieland completed his medical education at the University of Illinois/Chicago. He returned to Bloomington in 1992 to join the practice of Dr. John Frisch and Dr. John Esch. Since Dr. Frisch and Dr. Esch have retired, the practice has grown to include Dr. David Naour, Dr. Katherine Widerborg, and Dr. Travis Holt. 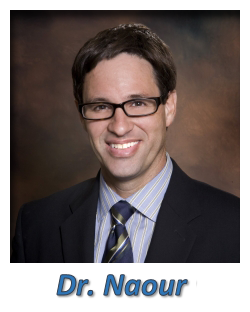 Upon completion of his internship and residency at The Mayo Clinic, Dr. David Naour joined the practice in 1997. Also a Board Certified General Surgeon and a Fellow of the Americal College of Surgeons, Dr. Naour attended the University of Illinois School of Medicine in Peoria. Dr. Widerborg was born and raised in Chicago. Illinois. She attended medical school at Loyola University Chicago Stritch School of Medicine. Upon graduation in 1982, she completed a general surgery residency at Loyola University Medical Center. She then moved to California for a trauma surgery fellowship at the University of California, San Francisco School of Medicine in Fresno. She joined the staff at the Level I Trauma Center as an assistant professor of surgery and was there for seven years. While there, she ran the Valley Medical Center Breast Clinic and was co-director of the UCSF Fresno Surgery Residency. Dr. Travis Holt grew up in southern Illinois and completed his medical school, surgery residency, and colorectal residency at Southern Illinois University School of Medicine in Springfield, IL.